Susie makes the soap in small 45 Bar Batches in our farm house kitchen. 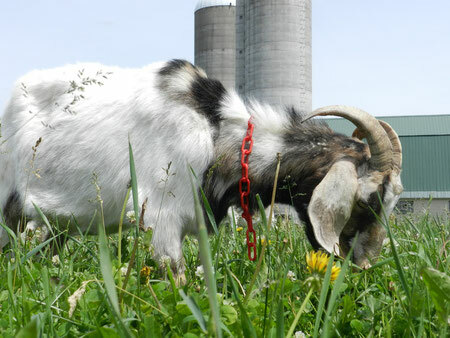 The milk comes from our small herd of dairy goats. The suet (which comes from a local butcher in Cumberland, Wisconsin) is then cooked down to a tallow. Once the tallow is ready the ingredients are added. 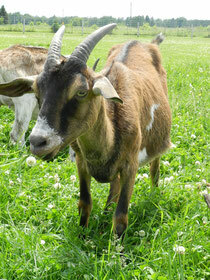 This includes the milk from our goats as well as pure and organic essential oils. These ingredients are hand stirred into the lye which is the ingredient that turns it all into soap. It is then cut into bars the next day and put on the rack for six weeks to cure. Once it's ready, we package it according to the type of bar it is and take it on the road to craft shows, art festivals or one of the few stores that carry our soap. Take a sec and hop over to our Store to see the final result.